Everyone is involved in initiating and managing projects, from planning your next vacation to launching a new product in your business. We believe that project management skills are fundamental and should thus be taught to everyone starting from the school years. 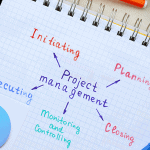 Whether project management part of your day-to-day activities or you just need to manage an ad-hoc project, this blog will provide with the essential training for effectively managing a project of any size. What exactly is a project? A project is a temporary group of activities designed to produce a unique product, service or result. It is temporary in that it has a defined beginning and end in time, and therefore defined scope and resources. Project management skills is the application of knowledge, skills, tools, and techniques to project activities to meet the project requirements. Projects are delivered in stages with common project management processes running across these stages. Phases, or stages, are very important for project managers to ensure that the deliverables produced at the end of each phase meet their purpose, and that project team members are properly prepared for the next phase. Remember as a project manager you need to be ready to plan, manage, implement, control, support, measure & report, communicate and face unplanned challenges and risks. Getting your project off to a good start is essential for the success of the project. Lack of clarity in your project objectives can result in the project heading in different directions, and building up unrealistic expectations and worries. Before your start your planning, controlling and reporting activities, you need to get everyone on the same page. This is done through a well-defined Project Initiation Document (PID), which is considered the top-level project-planning document ensuring all stakeholders understand where the project is heading. The PID would include the information needed to get your project started, and communicate key information to the project’s stakeholders. By creating a PID, you’ll answer the questions: What? Why? Who? How? When? Description of project scope to determine key start and end dates, major assumptions behind the plan, and key constraints and restrictions. Stakeholder expectations to help determine project milestones. Now that you have your project plan in place, you are ready to start executing on the phases of the project towards the expected deliverables. Execution involves proper allocation, co-ordination and management of human, physical, and financial resources. Throughout execution, as a project manager you will be monitoring and controlling all the processes, deliverables and project performance so that potential problems can be identified in a timely manner and corrective action can be taken. 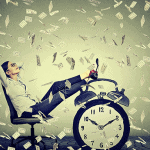 Project managers need to monitor three key elements: Time, Scope and Cost. Scope covers the deliverables at certain agreed quality and within a defined time. Quality should never be sacrificed, but can be adjusted through re-scoping, in agreement with project owner. Define what should be shown on the Project Dashboard, and how this should be represented. Make sure that people are held personally accountable for their Project Dashboard judgment calls and decisions. Enhance your dashboard as needed by adding or eliminating measures, increasing or reducing the sensitivity of reporting, encouraging people to make good judgment calls, and validating the information being reported. Description of the Milestone: Details about what was accomplished in order to complete the milestone specification. Due Date: When the milestone was due according to the current project plan. Actual Completion Date: When the milestone was actually accomplished. Comments: Details about modifications from the original plan i.e. why the due date was missed or why deliverables were changed. Project communication can occur through various channels based on the defined communication plan. Although online communication channels are effective, project managers need to hold regular meetings throughout the project lifecycle. Once all the phases of the project are completed, the project manager needs to ensure the formal acceptance and ending of the project. At this stage, project managers and teams are responsible for archiving all the files and documenting lessons learned. Closing also includes a Post Implementation Review phase. This is a vital phase of the project for the project team to learn from experiences and apply lessons learned to future projects. Communication is a key skill for project managers. Project managers spend up to 90% of their time in communication (meetings, phone calls, emails, letters). Project managers are put in very sensitive and difficult positions surrounded by possibilities of errors and things going wrong at each stage of the project. Just like with any other profession, project managers are constant learners. They continuously work on enhancing their technical, managerial and interpersonal skills. They learn from their mistakes and use their experiences to manage their future projects successfully. Project Integration: Develop a solid understanding of the project’s goals, and how the various elements will fit together for a successful outcome. Scope Management: Define the scope at the very start of your project based on the requirements and manage it closely against sign-off while effectively controlling any variations. Schedule Management: Clearly define the sequence of activities, estimate the time needed for each one, and build in sufficient contingency time to allow for the unexpected. Cost Management: Remain systematic with your estimating, budgeting, and controlling the project decisions will could an impact on cost. Understand what’s driving your costs and to develop a system for monitoring the project’s financial performance. 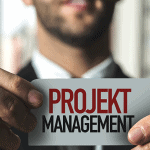 Quality Management: Projects must be delivered on time, on budget, and to specification. People Management: Get the correct mix of interpersonal, technical and political skills on your team. Communication: Communicate with the right people at the right time and using adequate methods. Risk Management: Understand which of the risks are significant and develop a plan for monitoring and controlling the major risks involved in your project. Project Procurement: In case you are using external suppliers you will need to closely manage the cost, time and quality impact. By keeping an eye on these areas, Project Managers can ensure that they deliver successful projects that are on time, budget and within the quality level needed.